A rich heritage of strong values and honored traditions form the basis of life in Louisville, Colorado. This suburban residential community, located in Boulder County, blends a hometown atmosphere with a progressive outlook, that fosters the advance of business, cultural and civic welfare. 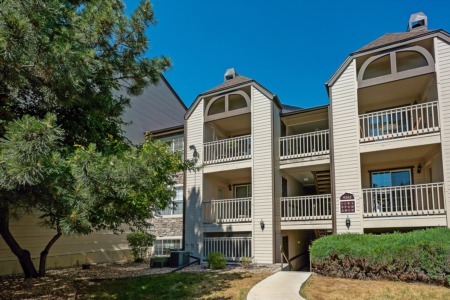 Located on the eastern edge of Boulder County, Colorado and featuring stunning views of the Flatirons and Indian Peaks, Louisville is 10 minutes from downtown Boulder and 25 minutes from downtown Denver. Louisville is an area that was known as the Northern Coal Field, an extensive coal field in Boulder and Weld County. Wages in the early days of coal mining were relatively high in the Louisville mines, and the mines were relatively safe. However, because the mining was seasonal and strikes too often interrupted production, the economy was generally depressed. Family gardens and odd jobs were the way of life when times got tough. In recent years manufacturing plants have opened in Louisville providing employment opportunities and attracting new residents. The unique history of Louisville and the rich cultural contributions give the community a character not to be found in the new suburbs. With a wealth of recreational opportunities, authentic small town ambiance, high-tech acumen, and real estate prices a fraction of those found in Boulder and surrounding communities, it's no wonder Louisville consistently ranks in the top 5, in recent National polls conducted on the best place to live and raise a family. While Main Street retains the nostalgic charm of the past, high tech businesses flourish throughout the city. The rich heritage of values and traditions found in Lousiville forms the basis for a thriving modern community, offering its residents recreation centers, parks, designated open space areas, and a new $9 million public library.